It’s taken 8jrs for me to reach a stage where I am happy with my creation. I’ve been thru so many different type of addons, upgrades and new releases of everything until that moment you find that one item that just feels perfect. Then came VR and it is phenomenal so immersive it blows your mind yet there are guys out there that swears by triples. So onto the last stage, the best of both worlds. 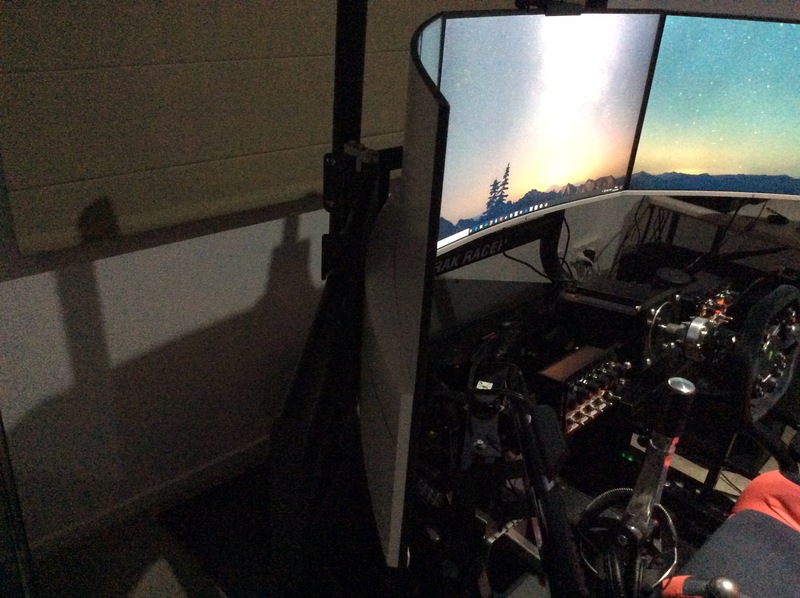 Bought a Trak Racer triple monitor floor stand and three 165Hz 1080p curved monitors. And with a sigh of relieve my sim is done. LMAO did I actually write that and believed myself? 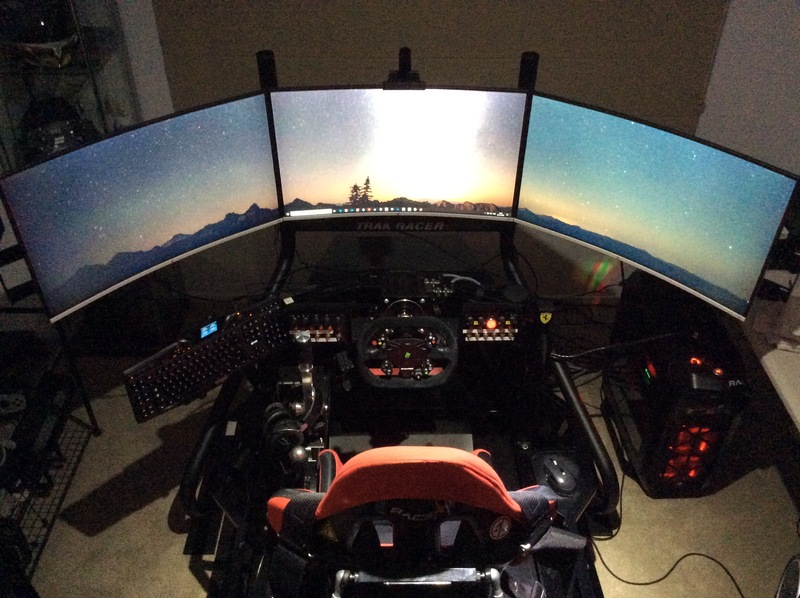 Turned out either the monitors or my GPU can only handle 60Hz In triple config, as randomly one of the three monitors would reboot which totally broke my will to race online until it is sorted. Is rf2 still a problem regarding SLi? Sounds like a bit of a problem with the monitor/graffix card combo. You've got a 1080ti yeah? it should do the job ok. So maybe try running them in lower increments till they werk, then lock your FPS to you Hz. Unless you've already done this. Last Edit: 6 months 4 weeks ago by SmellySkidmark. Thx SS, will try those links. 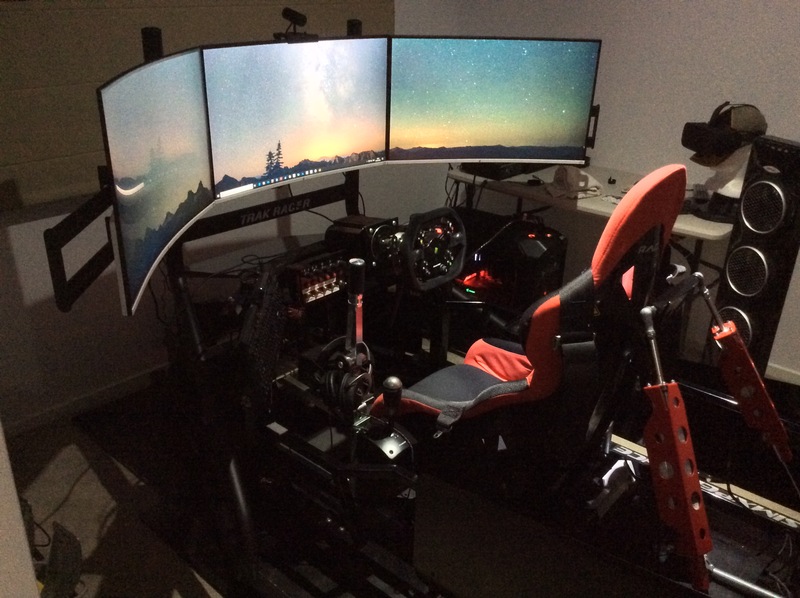 It is hard to say if it is the monitors or the gpu. It all worked well with the 27” @60hz. I think cause it is one monitor at a time that it is the monitors not the gpu. But then the gpu can handle (Max Resolution: 7680x4320 @60 Hz), so if I push it to 100/120/144/165hz will it kill just one port of the three display port? I am now running them at 60 hz and they’re fine.